You know them when you see them: purple, bulging ridges and bumps on your legs. Varicose veins are caused when your veins lose their youthful elasticity. They’re made worse by the pressure you put on the veins in your legs and feet when you stand or sit a lot. Since veins are blood vessels that need help to return blood to the heart, such as muscle contraction, movement such as exercise is essential. This is another example why exercise and movement make you healthier all over. Pregnancy can also increase the likelihood of varicose veins. Many women will get varicose veins. While some accept them, others can’t wait to get rid of them. Even if yours don’t bother you, consider asking your doctor about your varicose veins. They’re not just a cosmetic problem — they could indicate you have a more dangerous condition, such as poor blood flow. There are several medicinal plants that can help promote circulation in the legs. 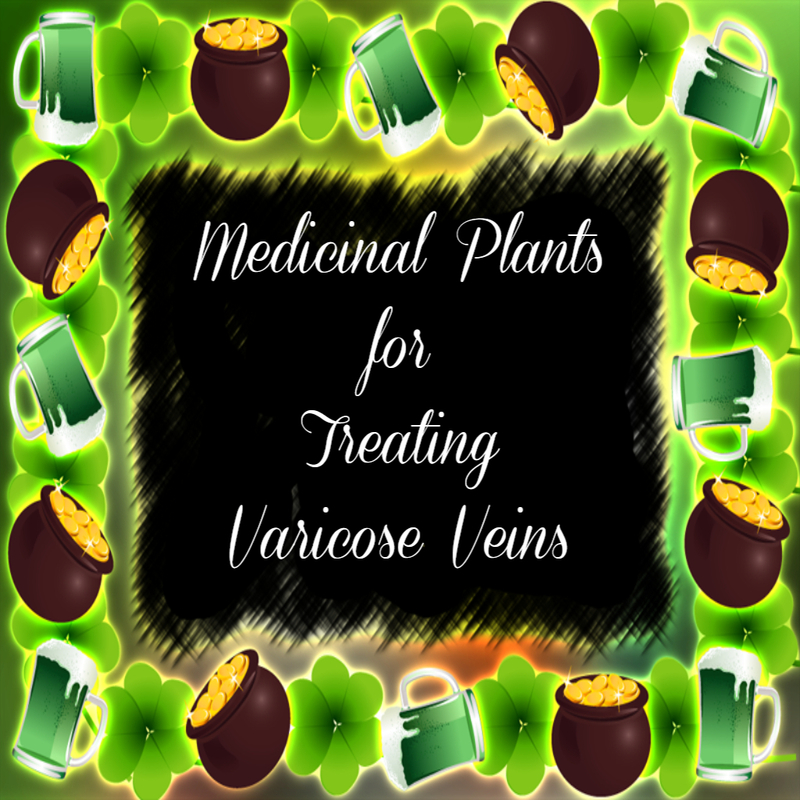 Due to their active ingredients, these plants naturally help to prevent blood clots and reduce the incidence rate of varicose veins. They can be a very helpful supplement. Let’s explain below. Why do I get varicose veins? 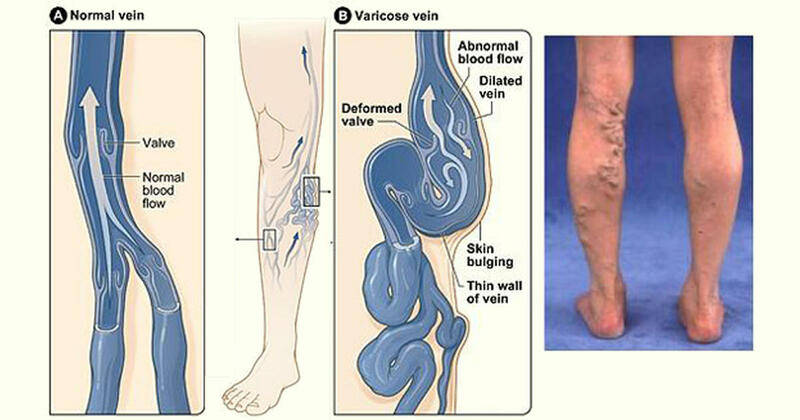 Suffering from varicose veins is something quite normal. Our hearts should push blood with sufficient strength through a complete web of arteries, veins and capillaries. This is a current full of nutrients and oxygen, in which the push isn’t strong enough. It could stop in distant corners of the body, in the feet and hands, and in veins that are stuck by back posture, or poor health. The blood ends up accumulating or forming spider veins, or more prominent veins. Veins are different from arteries in that they are much thinner. They also have valves through which the blood cannot return to the heart quite so easily. If, for different reasons, your veins are not particularly health, the blood accumulates in them and can’t flow, causing the vein walls to widen. Consequently, the valves lose their ability to retain blood, which causes varicose veins. The following are determining factors: Hereditary factors; Sedentary life; Poor diet; Hormone problems; Obesity and Smoking. You must first keep in mind one aspect: these medicinal herbs do not make varicose veins disappear. They reduce them and improve circulation. But sometimes, surgery alone can make these fat – and sometimes dangerous – veins disappear. If you combine a proper diet with fruits and vegetables, with plenty of liquids, vitamin C, a bit of exercise, and the following medicinal herbs, it might then be possible to greatly affect your varicose veins. Read below. Some of us would do just about anything to get rid of varicose veins, but they’re notoriously difficult to abolish. Many people have turned to folk remedies to treat varicose veins. One of the most popular is gotu kola, which is said to increase blood flow and reduce swelling. A few contemporary studies have confirmed that gotu kola has beneficial health effects. More information is needed to determine just how useful the herb is. That said, small amounts of gotu kola are harmless for most people and just might do you some good. Pregnant and nursing moms should ask their doctors about using gotu kola. It’s also not advised for people who have liver problems. Gotu kola is a member of the parsley family that grows in India, Southeast Asia, and Africa. It thrives at the edge of calm bodies of water, spreading its venous stems. The leaves and stems are the part of the plant we eat or as a medicine. Like the parsley you use to garnish a plate, it has almost no flavor. 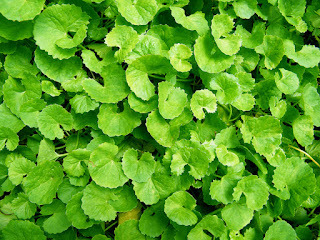 Gotu kola has been used as a medicine in the Indian Ayurvedic tradition, and in African and Chinese medicine. In addition to varicose veins, it’s used to treat conditions as varied as syphilis, asthma, and skin problems like psoriasis. People also use it in dishes much in the same way you’d use parsley or watercress. Does Gotu Kola Really Help Varicose Veins? 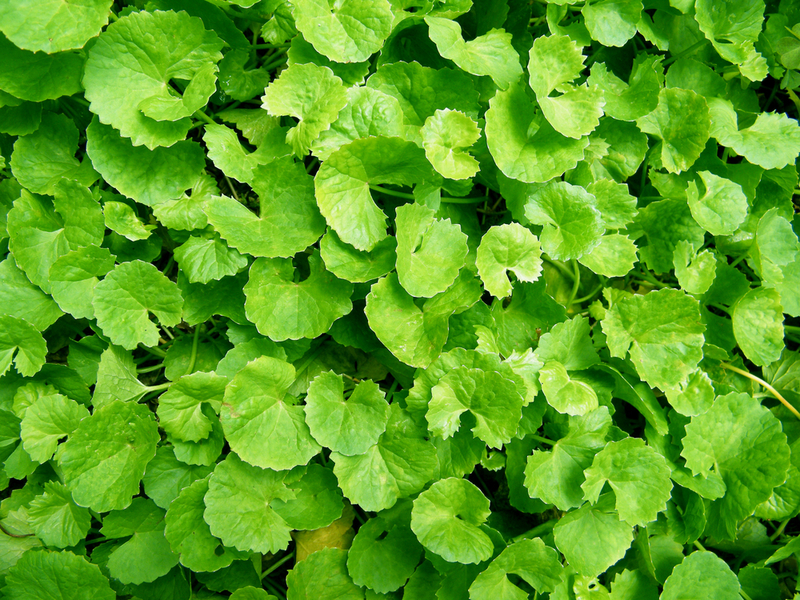 Gotu kola contains a chemical called triterpenic fraction of Centella asiatica (TTFCA). TTFCA is particularly beneficial for varicose veins since it stimulates the production of collagen and elastin. These connective tissues are needed to strengthen the internal lining and walls of your veins. Stronger veins mean fewer varicose veins. Collagen and elastin are also elements of healthy skin that we lose as we age, so there is reason to believe gotu kola can help your skin look healthier. In addition to helping with varicose veins, gotu kola could help with venous insufficiency by reducing swelling and improving blood flow. Venous insufficiency is a medical condition in which your blood has a hard time flowing properly. It can be caused by varicose veins and contribute to their unsightliness. Gotu kola comes in many different forms. If you are interested in using it in a tea, then the dried herb form would be best. If tea is not your thing, try the powered herb that comes in capsules. There are also tinctures, both alcoholic and alcohol-free. Read the label of your particular gotu kola preparation for dosage instructions. In most cases, gotu kola won’t hurt you. It seems likely that it could help you get rid of varicose veins, though not likely to banish them entirely. If the recommended dosage doesn’t produce any bad side effects, and your doctor says it’s all right, enjoy gotu kola in moderation. If your varicose veins don’t go away, talk to your doctor about your circulation. 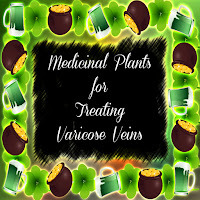 This is undoubtedly a very important plant for treating varicose veins. You can find them in health food stores in capsules or infusions. It stands out as the best remedy. Both the seed and the tree bark have anti-inflammatory properties and help with correct circulation through veins and arteries. These elements are the only ones that are used. It is a wonderful natural element for correcting varicose veins, hemorrhoids, tired legs…All thanks to its abilit to stimulate blood flow and oxygenation. It’s best if you prepare one infusion each day at mid-afternoon with one tablespoon of seeds. This infusion is not recommended for people with high blood pressure or cardiac problems. I’m sure you have heard sung the virtues of Witch Hazel. Its leaves contain flavonoids and tannins, which are very interesting for circulatory disorders. They produce a venotonic effect that helps blood vessel, capillary and vein contraction, thereby improving blood flow. It is perfect. Its vitamin P also makes veins and capillaries smaller, reducing inflammation and edema. We should tell you that witch hazel infusion is good for varicose veins, but not for the stomach. That’s why this is not recommended if you suffer from gastritis, or if you have a sensitive stomach. It’s usually recommended to combine it with marshmallow, as it alleviates the effects against the stomach. Try to drink this infusion three times a week. This plant might not recognize this plant very much. You could find it in health food stores under the name of “Achillea Millefolium”. So, why is it good for varicose veins? Basically because it is a wonderful hypotensor, it alleviates varicose veins and hemorrhoids. It is amazing, and also heals wounds, is an antispasmodic, bactericide and sedative. You can drink one cup a day, in the afternoon. It has a very pleasant taste and as we always say, you’ll find it in health food stores. Don’t hesitate! Excellent hypotensor that immediately improves circulation in the legs. To take advantage of it, you need to make a decoction with the dried plant, allowing it to boil for at least 20 minutes. You can drink up to two cups a day, and as always, this is a better than perfect remedy. If you have the opportunity to find dried blueberries in your supermarket, do not hesitate to grab them. They taste incredible and they will be a perfect natural treatment for improving not only circulation in your legs, but also in reducing the rate of varicose veins. Remember, these are dried blueberries. All you need is one tablespoon for each cup of boiling water. You can make it up to twice a day, especially after meals. You could also find blueberry tea in supermarkets, which is equally as acceptable. You will love their flavor, especially if you add a few drops of lemon juice to the tea. Remember that vitamin C is wonderful for improving varicose veins. Enjoy this delicious blueberry infusion! Very good post! I knew about 1 or 2 plants. But in this post I've learnt few more. Thank you for sharing! Haven't seen any comments where these plants cure varicose veins.